Spread Pick: Fenerbahce with handicap -2.5 at 1.90 Over/Under: Under 154 1.90 Bet Now! There have been a lot of reunions in the Euroleague in the past couple of weeks and this game is no different. Luka Zoric gets the chance to return to Malaga and see some old friends from his time with Unicaja. It is likely to be a physical game and both sides will be keen to grab a win that could turn things in their favour. The Thursday night Euroleague games offered plenty of excitement, and one or two surprising results and Friday could be the same. 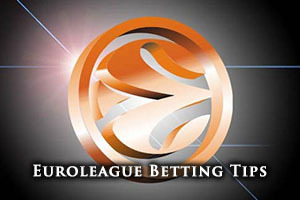 However, when it comes to Euroleague betting tips, we are on hand to keep you fully informed. Unicaja Malaga come into this game with a 4-10 record, which consists of their 4-6 regular group record and a 0-4 record in the Top 16 so far. With an average of 74.6 points per game in the Euroleague, they aren’t massive scorers but they do have a couple of key players they need to perform on Friday night. Ryan Toolson, the US guard, has been a smash hit for Unicaja this season, offering up an average of 11.5 points per game and an average of 2.9 assists per game. The Serbian center, Vladimir Golubovic, has offered up an average of 7.1 points per game and an average of 5.6 rebounds per game. While the Euroleague has been tough going, Malaga have enjoyed more success on domestic duty this season. They have racked up a 15-3 record, which is enough to see them sitting on top of the table. Their most recent domestic outing saw Malaga grab a 74-77 away win against Andorra. The Turkish side head to Spain with a 10-4 record this season, consisting of an 8-2 record in the regular group and a 2-2 record in the Top 16. Fenerbahce have notched up an average of 82.3 points per game in the Euroleague and Andrew Goudelock has been at the heart of this. He has offered up an average of 17.3 points per game. Nemanja Bjelica has also been on fine form, providing an average of 11.3 points per game and an average of 6.6 rebounds per game. 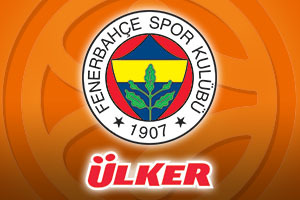 Fenerbahce have been on fire domestically, holding a 22-1 record, which sees them sitting in first place in the league. Their most recent domestic outing was an 86-82 home win against Turk Telekom. With this one likely to be a close affair, the bets you place should reflect this. We think taking Fenerbahce with a -2.5 handicap, and odds of 1.90, is likely to be a very sensible bet. We also think that if you are looking at the Over/Under market, going Under 154 is going to be a sensible option. Both of these bets are on offer with Bet365, and if you are looking for a range of Euroleague bets, this is the site you should turn to. Bet Now!